How was your weekend? They just seem to go sooooo fast, don’t they? It was a short one for me, with a 2-day strategic planning workshop on Fri/Sat with the management team at Third Horizon. So I’m playing a bit of catchup today and didn’t quite get to everything I had planned before my trip away… yikes! For those of you interested in gender balance, there’s been a number of new research reports released in the past couple of weeks. I’m taking a couple of the longer ones – the CEDA Women In Leadership “Mind the Gap” report and the AWCCI Child Care Issues Paper – away with me on my trip to BlogHer this week and will review them here shortly. Stay tuned for my key takeaways. But before I fly out, I’m off tomorrow to Canberra tomorrow for the inaugural BoardLinks Annual Forum where the theme will be “Strategies for Success”. We will hear from guest speakers including a couple of BoardLinks members who have already been appointed to major boards since the program began, and other prominent directors and leaders including the Chair of NBN Co, the head of WGEA and the Dep Secretary of Department of Finance and Deregulation. Networking will be a major part of the day, with other aspiring NEDs and those from Government boards and committees responsible for appointments. What a fabulous opportunity, I’m very thankful for the chance to be part of this great initiative introduced by Senator Penny Wong. Time now for the daycare dash… So I better get on with it, it’s the only part of my life with zero flexibility! I look forward to updating you on my adventures as they unfold this week. 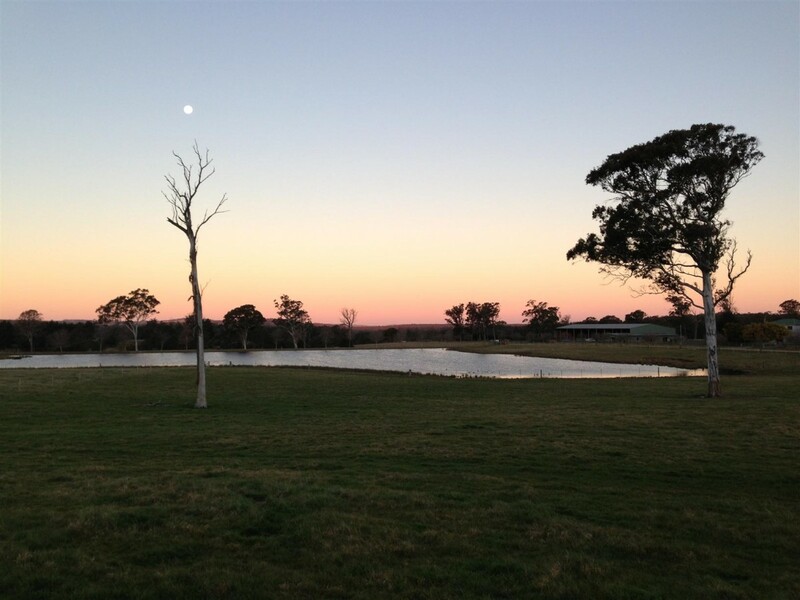 Thought I’d leave you with this gorgeous sunset and moonrise at the farm yesterday… This is Australia!